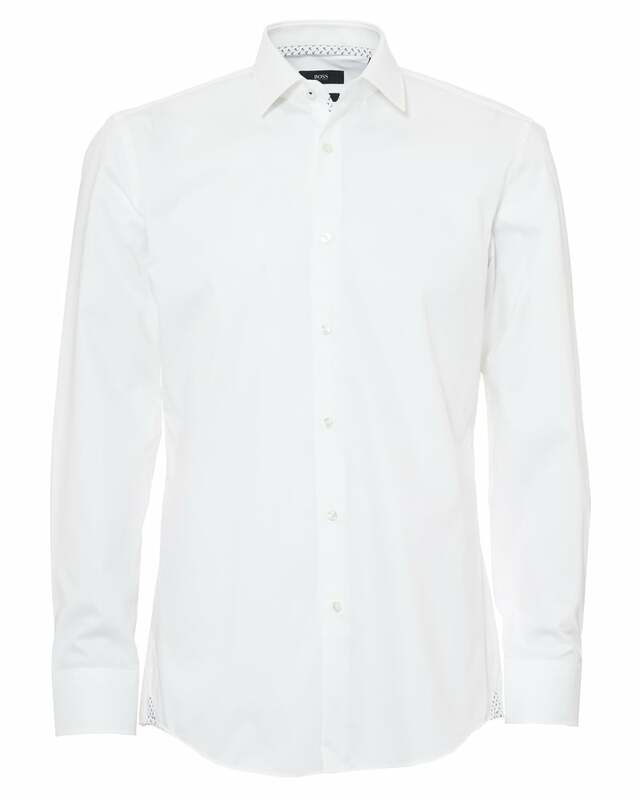 Your wardrobe won't be complete without a reliable white shirt to wear for every occasion. The Boss Classic Jesse shirt more than fits the bill, and adds a touch of fun with a sophisticated anchor print trim. Wear under a Boss suit or over Boss chinos to complete the look.